potassium-rich food | What about this? One sweet potato contains more potassium than a banana. Why is potassium so important? An article in Women’s Health states, “Potassium is a crucial nutrient, playing key roles in muscle strength, nerve function and heart health. 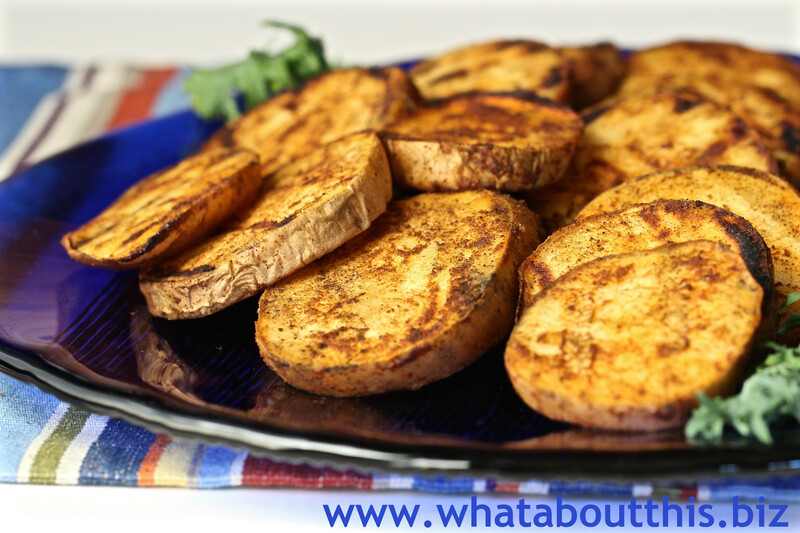 And if you don’t get enough—4,700 mg a day—it could lead to a deficiency, complete with fatigue, muscle cramps, heart palpitations and dizzy spells.” These grilled sweet potatoes with their smokey and spicy flavors make the perfect accompaniment to other grilled vegetables and grilled meats. This recipe is a trifecta: easy to prepare, delicious to eat, and good for your body. 1. Cover potatoes with cold salted water in a large pot, then bring to a boil. Simmer until slightly resistant when pierced with a sharp small knife, 5 to 7 minutes. Drain well. When cool, slice potatoes lengthwise. 2. Mix together salt, spices and apple cider vinegar; add oil in a slow stream. Brush this mixture on sweet potatoes. 3. Grill potatoes on a lightly oiled grill rack over medium heat, until grill marks appear and potatoes are cooked through, about 15 minutes. 1. I usually slice the sweet potatoes lengthwise, but this time I sliced them crosswise to make smaller servings. 2. One of my favorite ways to serve these potatoes is to cut the slices into cubes and then toss them in a green salad.